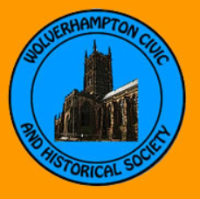 The Wolverhampton Civic Society was founded in 1960 and in 2010 it merged with the Wolverhampton History and Heritage Society to become the Wolverhampton Civic and Historical Society. Our aims are to promote the city through talks by expert speakers on various topics relating to Wolverhampton, the promotion of local history research, the erection of blue plaques and the scrutinising of planning applications. We are dedicated to promoting the history and heritage of Wolverhampton and ensuring that any new buildings and developments do not adversely affect the character and image of our great city! If you love Wolverhampton why not join us and help us in our aims of promoting Wolverhampton's history and environment.